In one of the potentially most impactful studies we’ve been involved, Carlos Baldermann (University Cologne) delineated a tract that – if stimulated with DBS – improves symptoms of obsessive compulsive disorder. 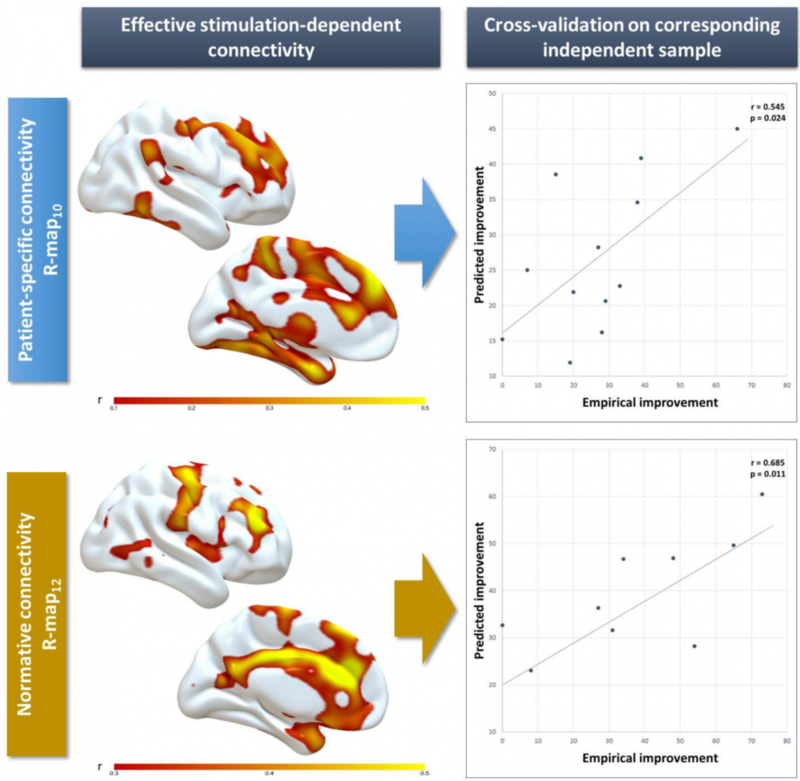 This specific connectivity profile was predictive of symptom improvement in a split-half design and leave-one-out cross-validation. 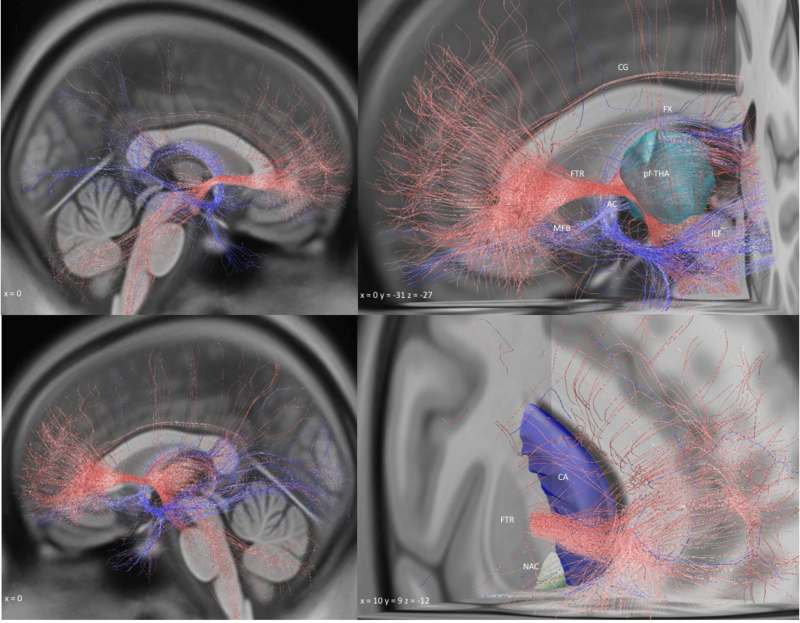 About half patients had patient-specific tractography, for the other half we used a normative connectome. Still, it was possible to cross-predict outcome based on optimal connectivity profiles learned from the other half. Identifying “good” and “bad” fibers using a novel method we introduced into Lead-DBS within this study that compares connected and unconnected fibertracts in terms of clinical improvements. 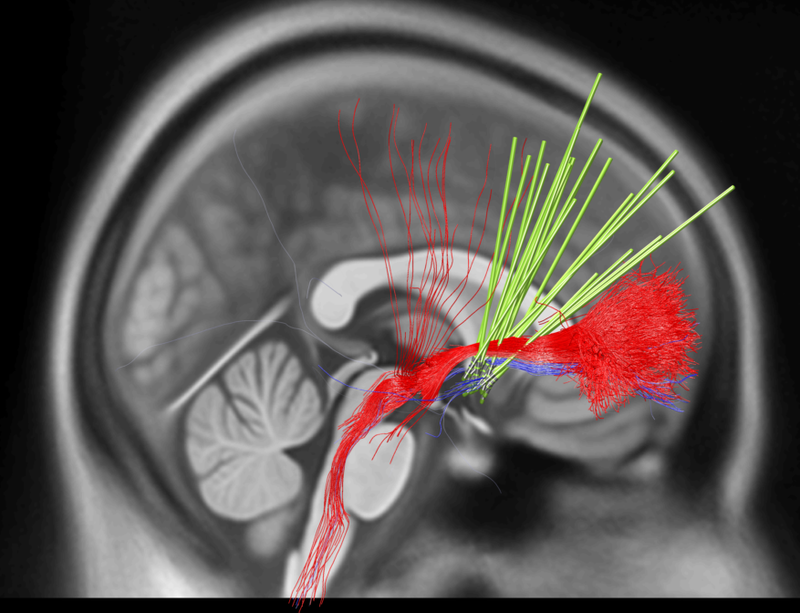 By those means, we identified a tract-based target for OCD-DBS. Data was very clear and robust, hitting the tract highly predictive of clinical improvement. Thus, hopefully, this finding could have a direct impact on clinical routine.